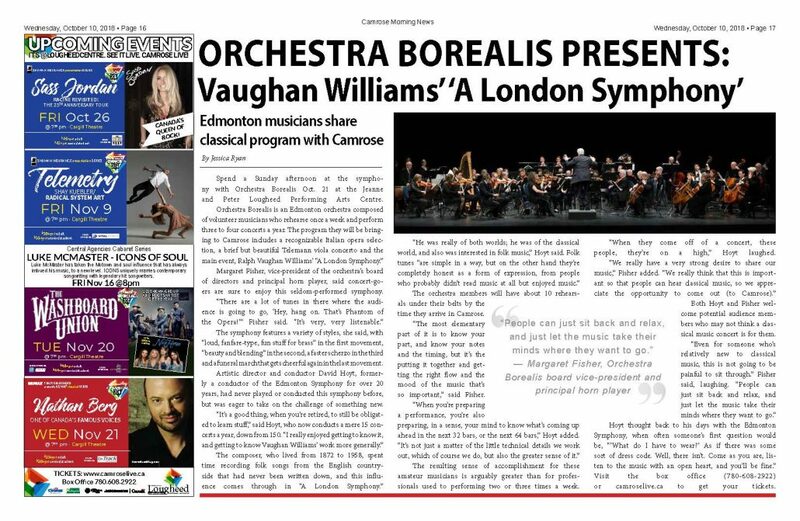 Orchestra Borealis is a brilliant addition to Edmonton’s performing arts community. 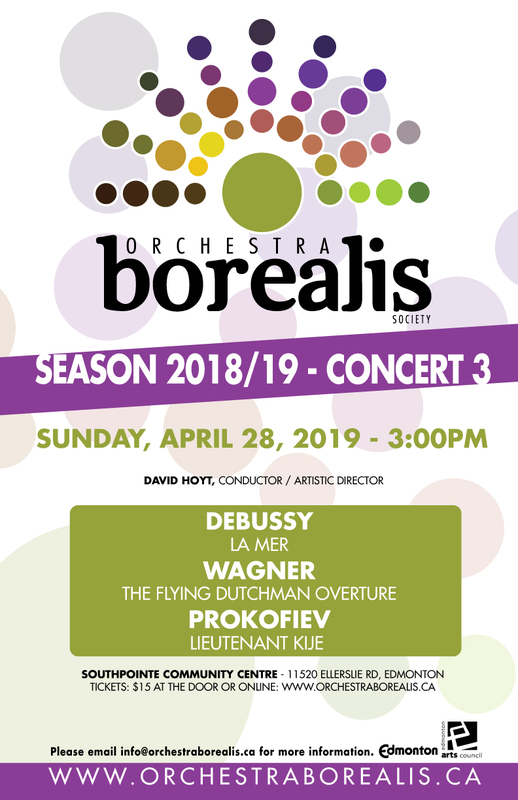 A volunteer orchestra comprised of talented, passionate musicians, Orchestra Borealis rehearses once a week from September through April of each year to perform three captivating concerts. Our repertoire spans Classical, Romantic and contemporary orchestral masterworks, including lesser-known and Canadian contemporary composers. Our orchestra has evolved from a community ensemble with nearly three decades of experience under the direction and guidance of well known music directors. As an independent orchestra, we will continue to pursue the unique communicative experience that music provides, not just with each other but also with our listeners — building a musical community of people who share their love of orchestral music. We are musicians, artists, educators, health care and business professionals, and so much more. Let us share our musical stories with you. Our mission is to entertain, educate and enrich a vibrant cultural community by providing a high-quality orchestral musical experience. The Orchestra Borealis Society is a vibrant community organization dedicated to providing intellectual and creative growth to advanced community musicians. The membership commits to weekly ensemble rehearsals under the guidance of a professional music director. The music director, musicians, board members, and staff will work with integrity to care for and nurture creativity, friendship and excellence through ensuring high quality, engaging musical performances. 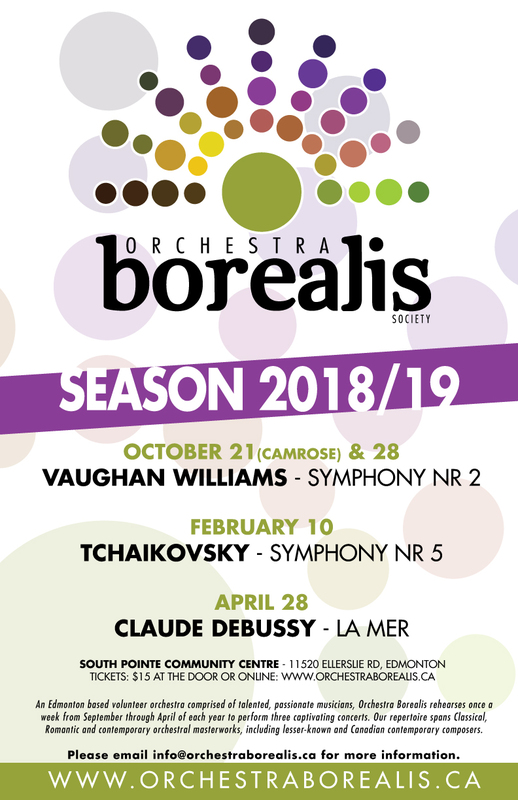 Orchestra Borealis will share its expertise and joy of creating music with the greater Edmonton community by presenting a series of concerts each year at community venues. 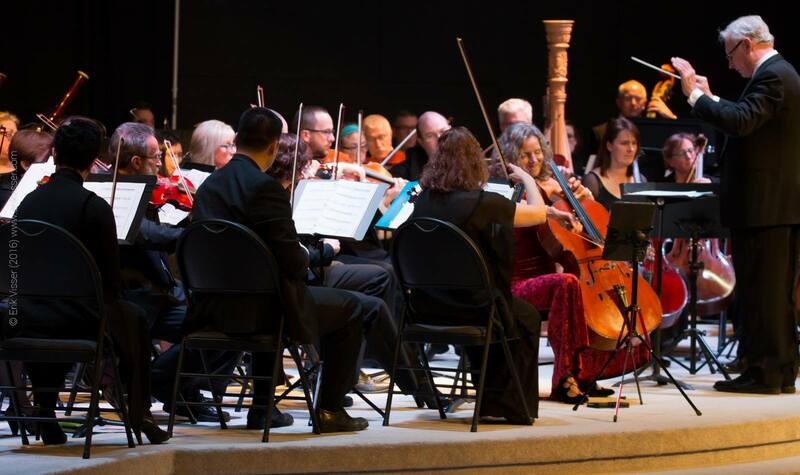 These concerts may include a variety of musical genres from symphonic repertoire, lesser known composers, and collaborations with solo performers. Orchestra Borealis will pursue the unique communicative experience that music provides, not just with each other but also with our listeners.